"The music code does not match. 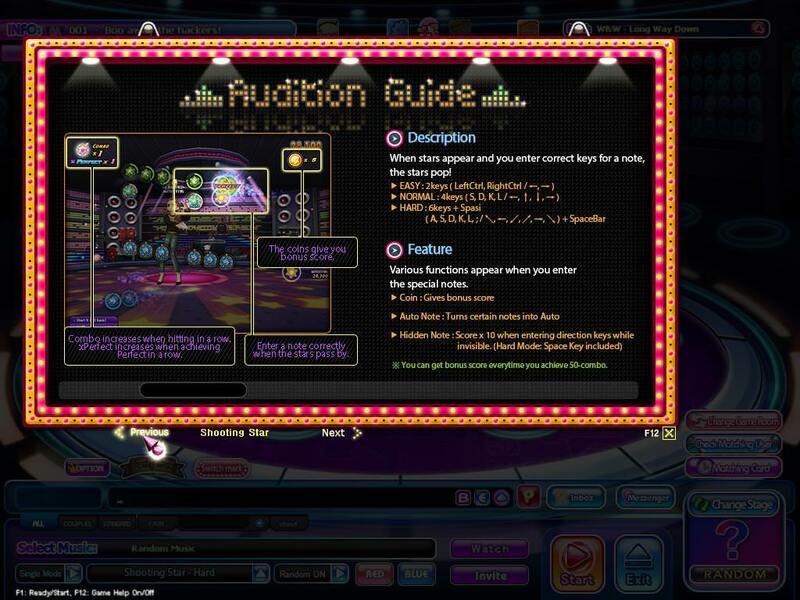 Please contact the administrator (3)" is occurring on most songs hailing from Shooting Star mode (by Audition) in other modes and licenses, making them unplayable. Either the room will disconnect or appear as 0 BPM throughout the entire song on the following shooting star mode song settings. "Works" means there's no error. Choosing songs individually will temporarily avoid this. I don't know why they added it without testing before. Sort By Game Mode with different language is killing me. I thought that this server was English. Sorry Badass, but i needa to say something. Random Music has not anything to do with the disconnection issue. I tested 5-6 Rounds on all Random Music and it worked properly. Without to Reverse Engineering i can say that some song notes for certain tbms are broken and cant play properly. A possibility fix would be to recheck all songs from the dev side. .dds is missing in the acv and since there is no dds for that map no wonder why it dont show up in the dropmenu. If you choose a other missing map you get a dds texture error so a fix would be to recheck the acvs too. Or they forgot the whole map LOL. Maybe Redbana was in time pressure and couldnt check all of that, but its T3 Job too. They need to send out working stuff and the company (redbana) needs to check them too. Thanks for posting this. I thought it was just our room getting disconnected. I can play everything without an issue . I only disconnect or get 0 bpm when I set it on Random. My couple gets freezes in the game. Hope we get a fix and new map quick. Love the new mode!